Wondwossen Gebreyes, a leading voice and innovative researcher in global health medicine, is the recipient of the 2017 Distinguished Alumni Award from the NC State College of Veterinary Medicine. Gebreyes earned a Ph.D. in comparative biomedical sciences from the CVM in 2001 and was an assistant professor of epidemiology at the school for five years. He is now the the executive director of global health programs at Ohio State University’s College of Veterinary Medicine and chair of the school’s One Health Initiative. Under his leadership, the program has created global health partnerships between hundreds of students, faculty and staff and international organizations, working in such fields as cancer research, food safety and infectious disease. Current program projects are running around the world, including Brazil, Mexico, East Africa and Southeast Asia. 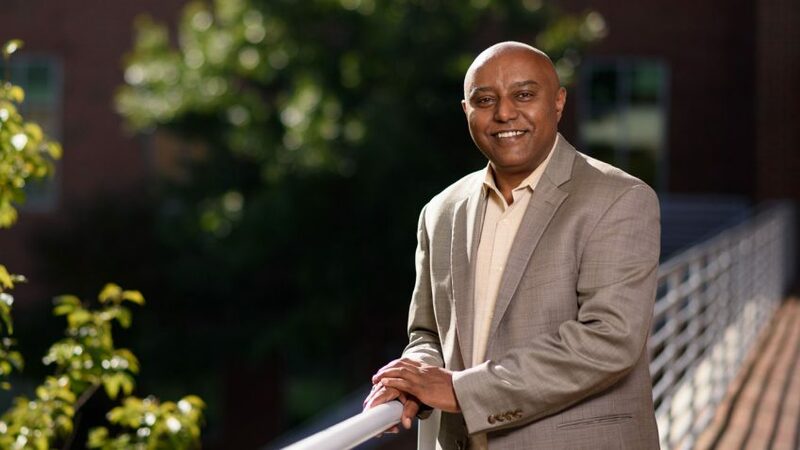 Gebreyes, a professor of molecular epidemiology, also directs Ohio State University’s Infectious Diseases Molecular Epidemiology Laboratory, where his personal research focuses on antimicrobial resistance and tracking foodborne pathogens in Ethiopia, Kenya and Tanzania. He said he considers the alumni award to be for not just the major efforts of the global health partnerships he oversees, but a recognition of programs like it at veterinary schools around the country. He said it also honors the large number of CVM alumni doing impactful work globally. Kathryn Meurs, CVM associate dean for research and graduate students, nominated Gebreyes for the alumni award. A global one health approach to veterinary medicine, linking animal, human and environmental well-being, has always guided Gebreyes’ work. After earning his DVM in 1990 from Addis Ababa University in his native Ethiopia, Gebreyes worked for years as a veterinarian in southern regions of the country, where human and animal lives are highly intertwined in pastoral ecosystems. He would eventually work to link American institutes with organizations in Ethiopia, including his alma mater, to address various health threats in the area, including rabies, tuberculosis and cervical cancer. In the mid-1990s Gebreyes moved from Ethiopia to the United States, living with a distant cousin in Washington, D.C. He said he worked a slew of odd jobs “for survival,” including a period as a parking lot attendant. He moved to North Carolina to study at the CVM, attracted to its Department of Population Health and Pathobiology. Soon after earning his Ph.D., he started teaching in the CVM’s epidemiology department. That’s when Siddhartha “Sid” Thakur, then a CVM graduate student, met Gebreyes. Thakur soon joined his lab and would eventually focus his own research on antimicrobial resistance, just like Gebreyes. For more than 25 years, the Distinguished Alumni Award has reflected the depth of veterinary studies offered at the school. Previous honorees have been leaders in dairy and poultry production management, shelter medicine and toxicology. They have started their own veterinary practices and become lead veterinarians at zoos across the country. Gebreyes’ selection also reflects the CVM’s investment in global health. 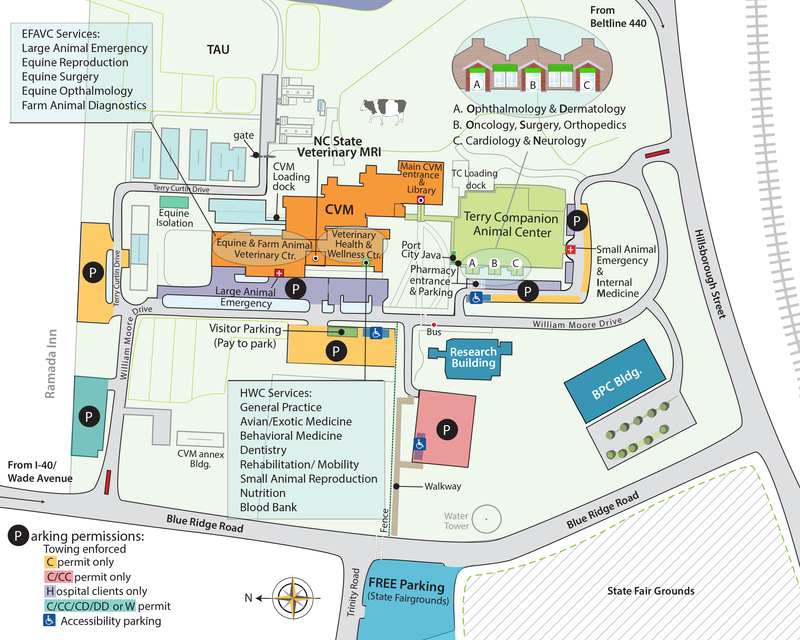 Andy Stringer, a clinical assistant professor in the CVM’s Department of Population Health and Pathobiology, also directs both global health education at the CVM and global health initiatives at NC State. Thakur is in the early planning stages of a structured global health program at the CVM that would include existing global health education programs, collaborative research projects and other initiatives.